According to researchers at Nottingham Trent University in the UK, wearable computers which can withstand washing are one step closer thanks to a technology which integrates electronic micro devices into yarns. The academics developed a prototype garment to demonstrate the technology, which they say could be used for medical and military purposes. 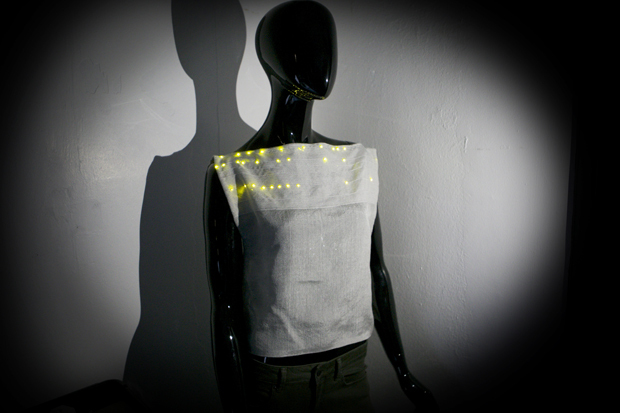 Researchers at Nottingham Trent’s Advanced Textiles Research Group have formed the garment using light emitting diodes (LEDs) to showcase the application of the technology, which they say could transform the manufacturing of smart and interactive textiles. The Nottingham academics say that current techniques involve the insertion of the electronic module after the clothing has been produced, which results in it being inflexible and requires it to be removed before washing. The advanced manufacturing of Micro Electronic Textiles (MET) truly integrates the electronics into the fibre by embedding sensors, smaller than the size of a pinhead, into the heart of the yarn. This process produces a smart textile which retains the fabric’s basic characteristics of being tactile, flexible and machine washable. It can also be tumble dried. 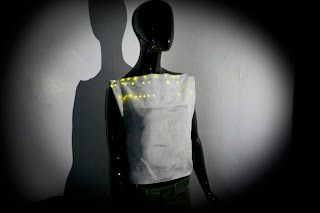 According to the researchers the technology could also be used in the monitoring of chemical reactions and vital signs for medical and sporting assessments and it could also have an impact on illuminated textiles in fashion by creating malleable mood fabrics. Professor Tilak Dias, who leads the Advanced Textiles Research Group at Nottingham Trent University, said: “The prototype uses LEDs but the technology can also result in variations of washable wearable computers that can monitor vital signs for wellbeing, provide intelligent textiles for the military, have invisibility cloaking capabilities, and create flexible and conformable displays."